The past week in eastern Washington was notable for seeing limited amounts of rain – the first in several months. For most, this was a relief, cutting down on dust and clearing the air. 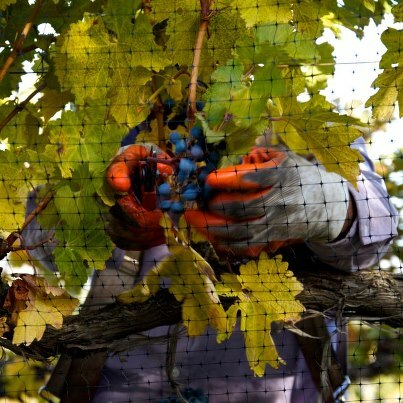 Few growers or winemakers expected the rain to have any effect on harvest. Other than that, things are beginning to wind down for many. Despite the warm growing season, Mickel notes that the fruit has retained good acidity in the sites he works with. “I've only had one vineyard where acids have been out of whack…Not sure what the culprit is there because every other vineyard so far has had incredible pH/TA levels with most every other site/variety being in the 4.5 to 6.2 g/L range and pH of 3.45 to 3.55. Malic acids have also been on the lower side for us (1.2 g/L to 2.3 g/L). In past years we've had malic levels into the high 3's. This is probably because of the warm growing season we've had. This is nice as I don't expect to see too much of a pH shift at the end of ML, so our pH levels should end up in the 3.5 to 3.65 range across the board.” Ross Andrew is 85% complete with harvest, and Mickel expects to be finished in a week’s time. Like several winemakers have previously noted, Januik reports that berry sizes have been smaller this year and says it has led him to make adjustments at the winery. “We’ve dealt with it by managing our macerations a little differently. We prefer to pump over rather than punch down, and in a year like 2012 it is much easier for us to fine tune our macerations doing pumpovers.” Januik reports that he is about 75% through harvest and expects to be done by the end of next week. At Woodward Canyon in the Walla Walla Valley, Rick Small says that the recent cold weather has made for some long days and nights. “The last week has been pretty hectic for us,” Small says. “Sub-freezing temperatures meant late night wind machine operation in addition to delivering bins, hauling grapes and making wine. Elevations (Woodward Canyon Estate Vineyard) above 600 feet saw little if any frost effect on canopy. The fruit above 600 feet continued to ripen perfectly and was harvested several days later.” Small wrapped up harvest at his estate vineyard last Thursday and says that he is 85% finished with harvest overall. Looking back at the vintage, Small notes that one major factor in 2012 is what kind of winter issues the vineyards had the last two years. Speaking of his estate vineyard he says, “Vineyard blocks that were above 800 feet elevation or on very steep hillsides and survived winter injury in 2010 and 2011 produced amazing crops this year…In other locations near the Columbia River some winter injured vines are ripening fruit but rather unevenly. This requires amazing patience and great intestinal fortitude to wait, but we know that we must. This is where experience with the vineyard comes in.” Small also noted that he did not foresee any issues with the recent rains. Picture courtesy of Pepper Bridge Winery. Follow them on Facebook here and Twitter here.